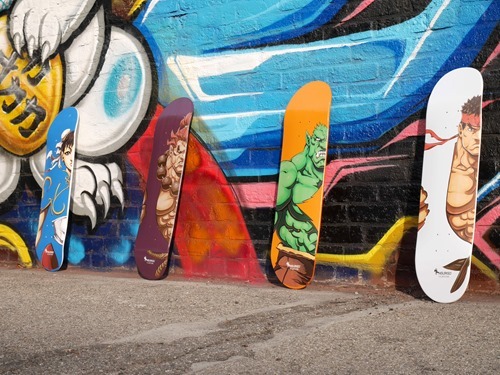 NSURGO has launched its new series of Street Fighter limited-edition skate decks. Officially licensed from Capcom, the initial offering features illustrator Long Vo’s (Udon Entertainment) rendition of four iconic characters from the legendary 2D fighting game franchise: Akuma, Blanka, Chun Li and Ryu. 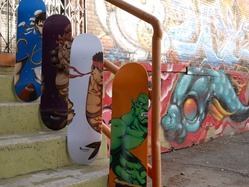 The decks feature stylized portraits on solid backgrounds that blend into the characters for an eye-catching effect. 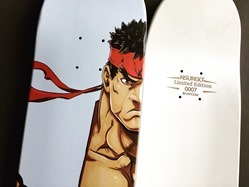 Limited to 250 pieces each, the laser-engraved decks are individually numbered and are available now from Nsurgo for $50 (+ s/h) each.